On the previous post, I speculated that the legendary Alex Toth created two pages (he scripted, drew, inked and lettered those two pages) that were so powerful, they launched a new title into DC's months-old 'mystery' boom for 85 issues. 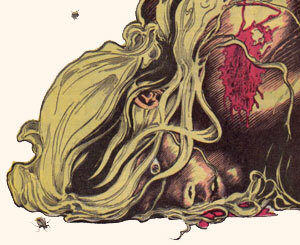 That was 1968 and the title was "The Witching Hour". Horror comics are all-but-dead with the last regular issue of House of Mystery #321 having appeared on stands exactly one year earlier in 1983, the last of DC's big mystery line. Charlton Comics canceled its long-running Ghostly Tales and Scary Tales the same month this next comic was published. Marvel's Secret Wars plows over the rest of the field to set the new stage for comics, the blockbuster super-hero cross over. Kids just don't like that scary stuff anymore. Alan Moore wasn't writing for kids. You may think I'm going to showcase the ground-breaking work of Moore et al in the 'Saga of the Swamp Thing' #21, The Anatomy Lesson. This one even made JK Parkin's and Chris Mautner's #1 spot on their Six comics that scared the $#! @% out of us list. Fantastic issue and revolutionary treatment of the title character. 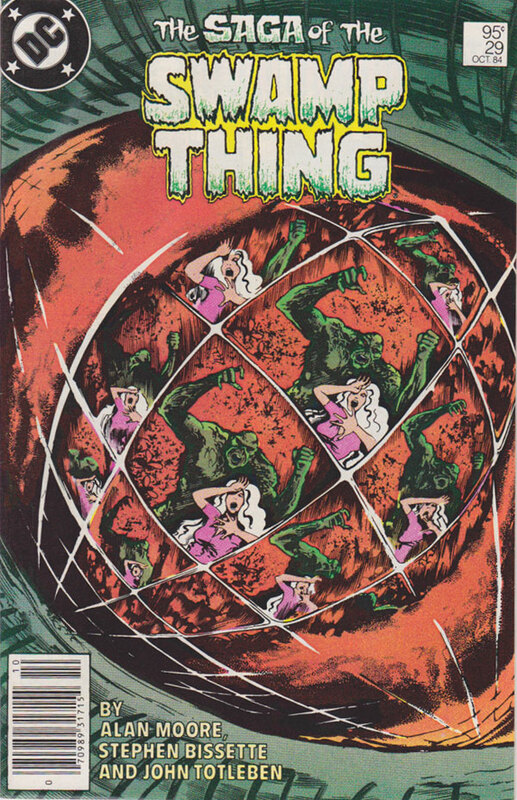 Launched the horror genre in comics into an entirely new direction. But issue #21 wasn't the one that disturbed me. That's right, it's missing the Comics Code Authority. Couldn't get it through the censors. Issue 21 got through, this one did not. DC was forced to put it out without Code approval... and discovered a remarkable thing. It was still carried by vendors. This single issue (in my humble opinion) led to the formation of DC's Vertigo imprint 9 years later, the irrelevance of the Code and the "Suggested For Mature Readers" tag. First of all, I've always liked Abigail Arcane. She was 'Beauty' to Swamp Thing's 'Beast'. She's been cast as the victim on numerous occasions, but she's a pretty remarkable lady. Unlike many characters in comics, she's not motivated by hate, revenge or even a sense of justice. Nope, Abigail is a lover. Despite being the niece of one of the most evil characters in all of comics (and that's saying a lot! ), Abby always pushes forward and leads with her heart, for better or worse. Can you imagine how I felt, when after turning one single page, I had to bear witness to this?! Click image for full 2-page spread. Right away, Moore has you. Moore's run on Swamp Thing has been collected numerous times in numerous editions. Pick it up.